The Scala WS500 is a unit designed for use as a kiosk. 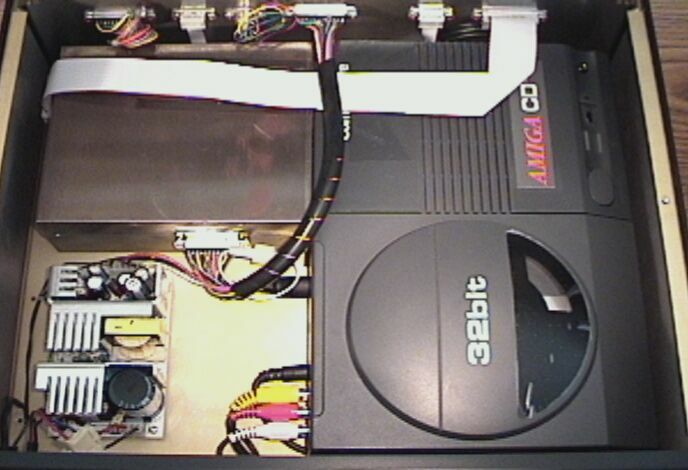 It is based on a CD32 with the SX-1 attached which is then fitted into a rack mounted case. The rack mounted case also includes a power supply which is diffferent from the standard CD32 power supply and is autosensing between European and US style power sources. The CD32 itself is the PAL version. The unit was supplied with a dongle, presumably to run some Scala presentation software.